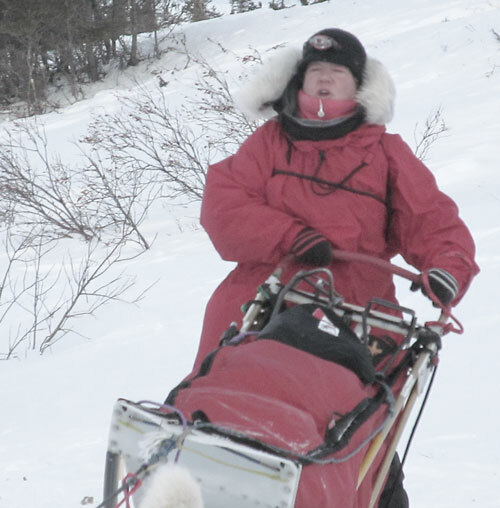 Karen Ramstead has declared 2014 her last Iditarod. She has run several and this energetic soul has many irons in the fire she would like to attend to. But, didn’t Jeff King say something like that a couple of years ago? Only to come back this year (2013) and take 3rd. I watched this competitive musher blow through the Koyuk Checkpoint and give Mitch Seavey and Ali Zirkle a run for the money. Racing the Iditarod is hard work and expensive. Karen has been non-stop promoting her team of beautiful Siberian Huskies since the end of the 2013 Iditarod, where she participated as a race judge. I worked with Karen in designing her Winter Chicks identity. 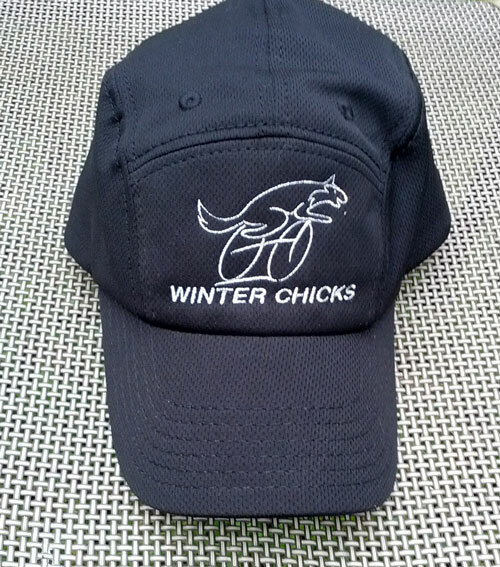 She will be selling water bottles and caps with the Winter Chicks logo to help finance her 2014 Iditarod bid. Winter Chicks is her team of crazy women biking across Iowa (440 miles) in July when the temperatures and humidity are both 100. I hope she makes it. Yeah I have no idea what biking in Iowa has to do with going to Nome but Karen knows. I just make the impossible, possible—a Siberian Husky peddling a bike. 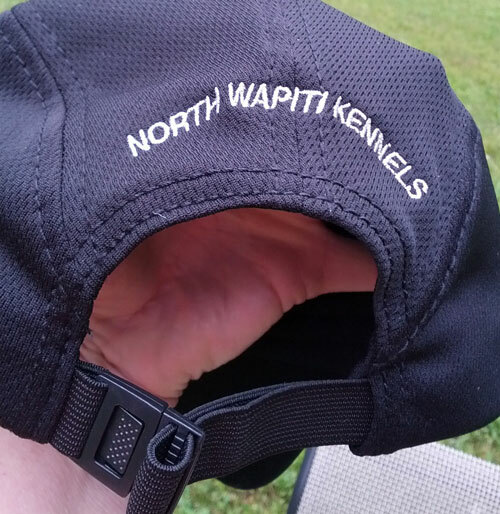 You can read more about Winter Chicks and Karen’s preparations for Iditarod 2014 on her North Wapiti Kennels Blog. Karen I wish you the best. You get a bonus with Karen’s kennel named on the back of the cap. Karen better have several of these when she crosses Iowa in July. From T. Marple’s 2012 Iditarod Sketch Book. Above is a sketch I did to help keep track of the different roles a dog may have on a dog sled team. Terms such as lead, swing or wheel dog would be slung around like moose stew at a checkpoint. As a volunteer I needed to learn quickly. I noticed that a musher will move his dogs around depending on the situation. An example would be when the teams crossed from Shaktoolik to Koyuk, across 50+ miles of sea ice, often times the musher would use an older, calmer dog to lead the team across the ice and not the normal leader. The few times I witnessed this, the dog used to lead the team across the ice had been a wheel dog, but, not always. The number of dogs you can start (Willow) and finish (Nome) with on the Iditarod is also a frequent question—16 (start) and 6 (finish) (from the 2012 Iditarod rule book). Not sure if the number you can finish with changes from year to year or not.